All commercial and domestic tyres are our business say the friendly team at TyreLAND Christchurch. This family owned business offers a real point of difference with their mobile tyre service. They come to you and look after your tyre requirements while you’re at home or work and they operate 24/7. This includes full fleet service to their commercial customers, and a sense of pride that they take in matching your tyre requirements with the application of your vehicle. Whether it’s a car or an SUV, a forklift or a golf cart, a tractor, truck or trailer, they can find the best tyre at a competitive price. 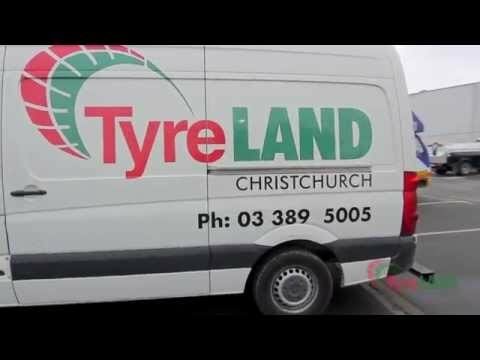 TYRELAND IS ONE OF THE LEADING INDEPENDENT TYRE SPECIALISTS IN NEW ZEALAND. This means that you have unrestricted access to the world’s leading tyre brands – our obligation is to you, not to a big international tyre manufacturer, nor to an offshore head office. We will only recommend and fit the tyres which best suit your driving, your vehicle and the roads you drive on. Or you name a brand and we’ll get it for you.